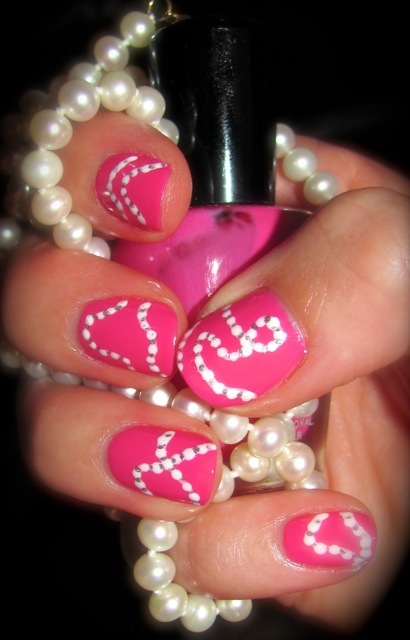 This manicure was inspired by an upcoming trip to the bead store. It's one of those manicures that I am surprised that I hadn't done before and really like now that it's on my fingers. The vision in my mind coming to life on the nail. That's always gratifying. 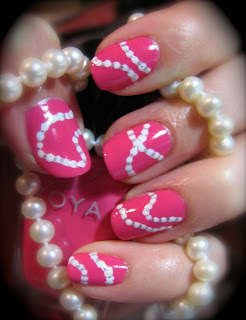 I painted three coats of Zoya Jolene for the base pink color. 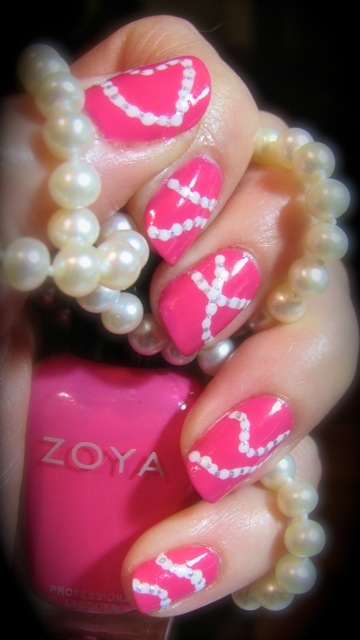 The pearl beads are made from a mix of China Glaze White On White and Orly Au Champagne and use of a dotting tool. I added silver detail with China Glaze Icicle. I painted Seche Vite for the top coat. Love, love these pearls. Would look cool against a black shimmery background, too!